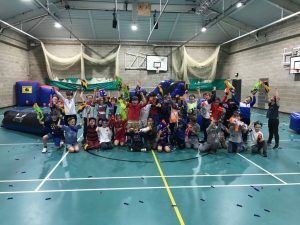 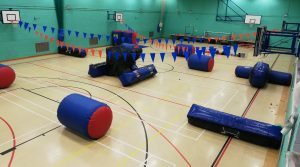 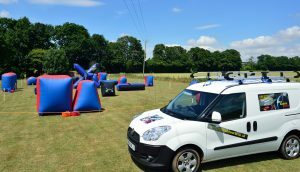 Best NERF Party in Southeast, Kent, Sussex, Surrey, Essex, Herts, Hants, East Sussex, West Sussex, Berks, Bucks. 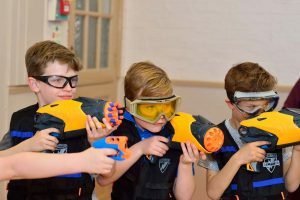 We did our homework on the opposition a long time ago and there are quite a few businesses that offer Foam dart blaster type fun but it’s just not in the same league as how we do it and these are the reasons why? 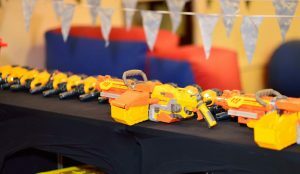 We have an entire armoury we bring to all our NERF Blaster Parties and children want choice, lots of it and we have around 200 blasters that we bring, 150 stay in the storage unit! 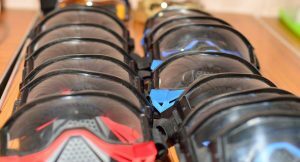 We have a small armoury for girls, a NERF Rebelle set of blasters in pink! 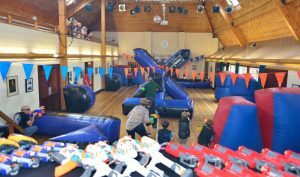 We always give the birthday boy/s or girl/s a surprise birthday present (NEW) blaster valued at £10/12.00 and free Darts plus a gold medal for leadership. 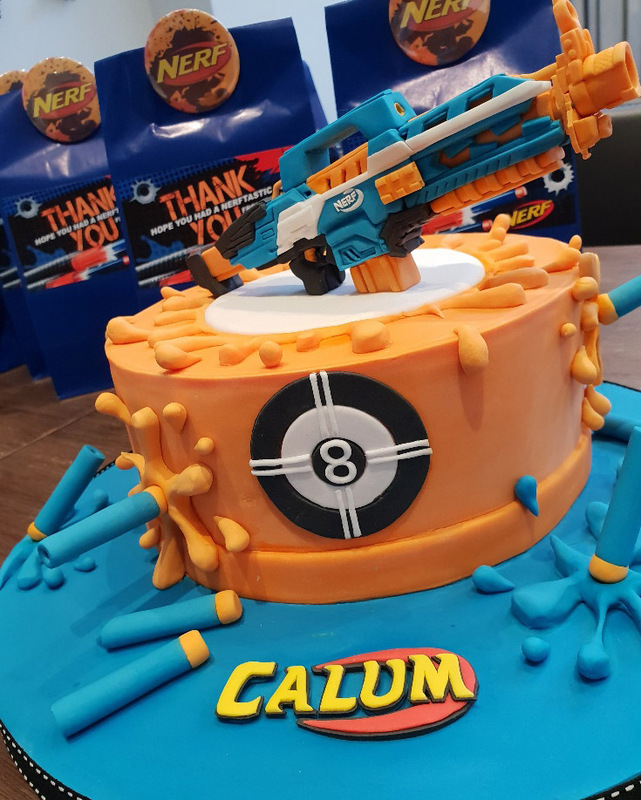 This is made up of 300 free darts worth £85.00 + a NERF Firestrike – £12.50 + a NERF Jolt – £6.00 and a free Gold Medal for the birthday boy = £103.50. 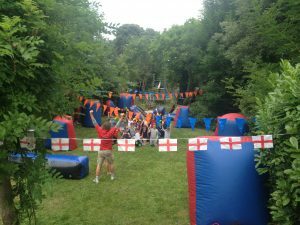 These are some of the reasons why we are so popular as all we do is try to make it as spectacular and memorable as possible for the birthday boy or girl and at 150+ parties/events a year we seem to be doing something right. 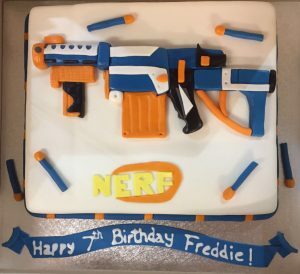 All we worry about is that there are many, many operators who just do not take it seriously and do not put in the effort, time and attention to detail as we do as all we are is BIG KIDS who want to make your child’s Birthday the best day ever….in the end it’s you who gets the praise as you hopefully pick us. 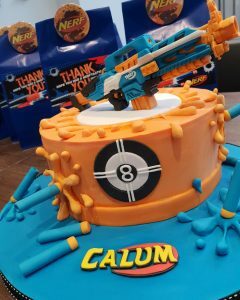 Be very wary and I hope you make the right choice.